Ok, some of you guys are confused with the title that we have used for this specific wooden pallet creation? 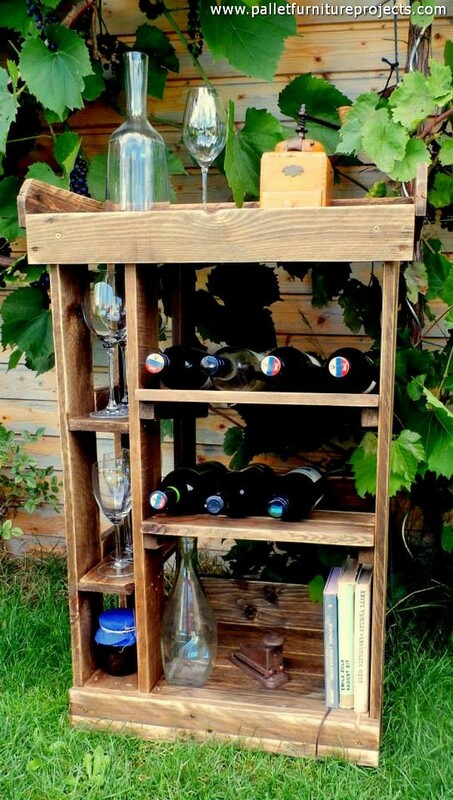 You guys are really nervous that what exactly this creation is all about, a wooden bar for the garden or patio. 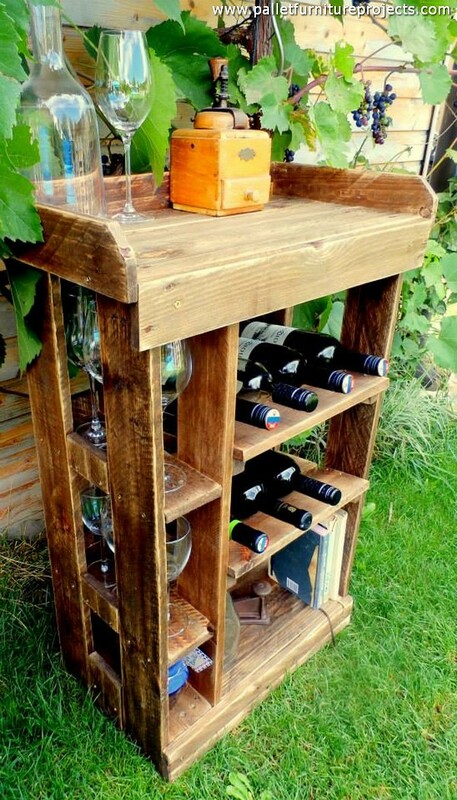 So all to such naïve fellows, this is simply an outdoor wooden pallet bar that can be used inside the garden and the patio as well. 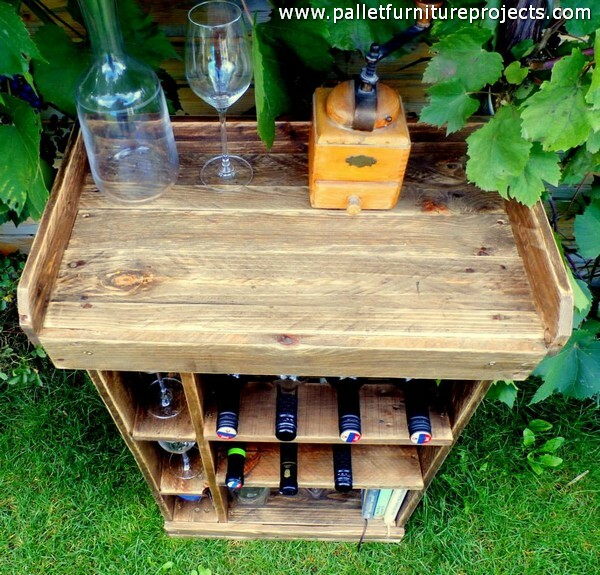 So I hope you guys are excited to explore this multi purposed pallet wood repurposed bar for the outdoor because many of you guys really love to party. People who are in love with calling on parties and get together, they must never lack a proper wooden bar because this is the main theme of the venue and this is going to be the centre stage throughout the event. 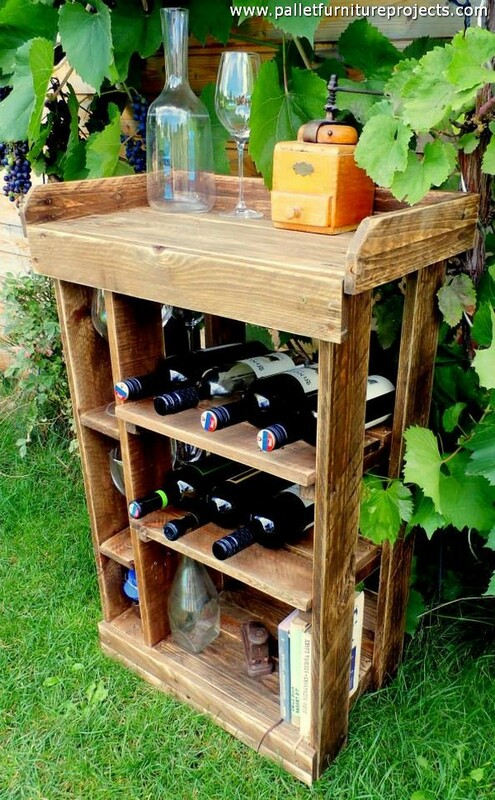 So better to have a look on this pallet wood recycled bar for garden and patio as well. If we specifically talk about the shape of a wooden pallet bar table, then this one is certainly different from the conventional bars that we have made so far in many of our earlier projects. This has certainly got a different shape and style. 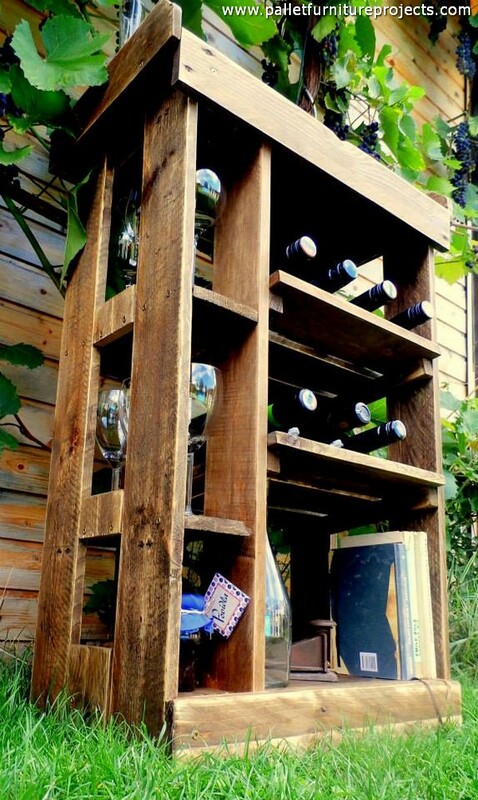 Talking a bit about the pallet wood that is used here, we can see that some mixed sort of fresh and broken shipping pallets are used. The same rustic look is maintained here again. Corners are very well rounded off, and well equipped with all the necessary features. And why not to make a comment on the design, this is made in multiple tiers, along with some slimmer spaces for the wine glasses. 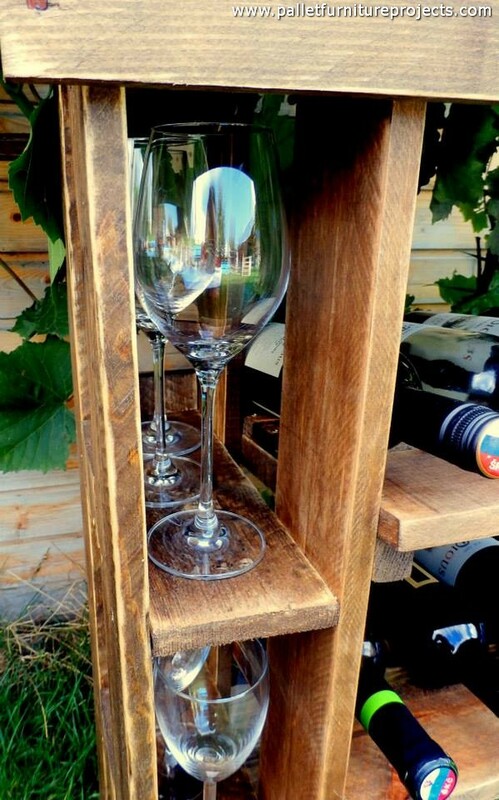 Each tier is used for a number of wine bottles, and the top is used for some other common accessories. So an ideally built wooden pallet patio garden bar this actually is.